Our system detected that your account is being associated with another Patient Portal. Please accept terms and conditions from LifeCard to be able to use the same Lifecard account for North Eastern Community Hospital. That you are (or will be) covered for the Hospital charges in connection with your admission. What (if any) excess applies to your level of cover from the Health Fund as this is paid by you to the Hospital prior to or on admission. Insured patients will be asked to sign a Certificate of Hospitalisation prior to discharge so that the account can be forwarded direct to the Health Fund for payment. Patients are responsible for any excess not covered by the fund and will be required to pay the excess prior to or on admission. Will be required to pay charges prior to or on admission. Our Accounts Department can inform patients of anticipated costs. All patients are admitted on the understanding that they are personally liable for their own HOSPITAL ACCOUNTS. An estimate of the Hospital Account can only be provided by our Hospital Staff and a payment of the anticipated fee is payable on admission unless prior arrangements have been made. Patients are admitted on the condition that they, like all others, are personally responsible for payment of the Hospital�s account on presentation, notwithstanding any claims they have for compensation or damages. Accounts cannot be held in abeyance pending settlement of such claims. If any person or organisation (e.g. an employer or insurance company) has agreed to accept responsibility for payment on presentation of any account, the patient should arrange for that person or organisation to send to the Hospital, before admission date, a written undertaking to this effect. If no such undertaking is received, the patient will be regarded as personally responsible for prompt payment. WHAT PERSONAL INFORMATION DOES NECH AND NECNH HOLD? Such records are only accessible by those staff members of NECH / NECNH who have bona fide need to access the personal information for the purpose of carrying out their specific duties of employment. Patients/residents may request access to personal information that NECH / NECNH holds by completing a 'Request to access a patient/resident information form' available on the website www.northeasternhospital.com.au and forwarding this to the Chief Executive Officer. Any questions or any complaint regarding treatment of privacy by NECH / NECNH should also be made in writing to the address below. I acknowledge that I am personally liable for fees resulting from consultations for myself/the patient at North Eastern Community Hospital and I have read and fully understand the above Terms and Conditions and agree to abide by them. Please COMPLETE ADMISSION FORMS AT LEAST 10 DAYS PRIOR TO ADMISSION. The online admission form may take between 5-15 minutes depending on your personal medical history. You are able to save your progress and return to complete the form. Click on + Register Now to commence your admission. This helps us to have the necessary paperwork completed prior to your admission. All admissions are arranged through your Doctor. Patients who are scheduled for surgery should arrive at the time arranged by your Doctor. If you have any other concerns about your time of arrival please contact our Hospital Admissions Office. 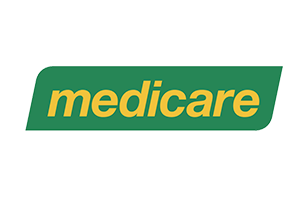 Medicare Card, Health Insurance Card and any Pension / Concession Cards. Confirmation of claim for Worker's Compensation or other comparable admissions. Any current Medication you are taking in original container. Any personal attire and toiletries you may need. Please dress in comfortable clothing and footwear and wear no makeup or jewellery. Your Doctor will advise of any special instructions such as fasting, taking medications and bowel preparation. An Anaesthetist will see you prior to your procedure. As instructed by your Doctor. Fasting includes no sips of water, chewing gum and/or sweets. Where appropriate, it is recommended that only one companion accompany you to the Hospital. You will be allowed to go home within 2–4 hours, but this may vary as your Doctor may need to see you before you go home and follow up appointments and tests may need to be arranged. Immediately following the procedure, you will spend some time in the Recovery room and lounge. This will allow your progress to be monitored and ensure that you are ready to go home. You will also be given some light refreshments after the procedure. Do anything which requires co-ordination or for you to be alert during this time. If you experience any excessive pain or are generally concerned about your condition, please contact your Doctor. North Eastern Community Hospital protects and promotes the rights of each person receiving care.